Soho Residence is the latest edition to Soho’s bar scene in London, in the space formerly known as The O Bar. We paid a visit to find out what this has to offer the LGBT community. Soho Residence, the newest bar, club and lounge space in Soho has just opened for business after a substantial redevelopment. 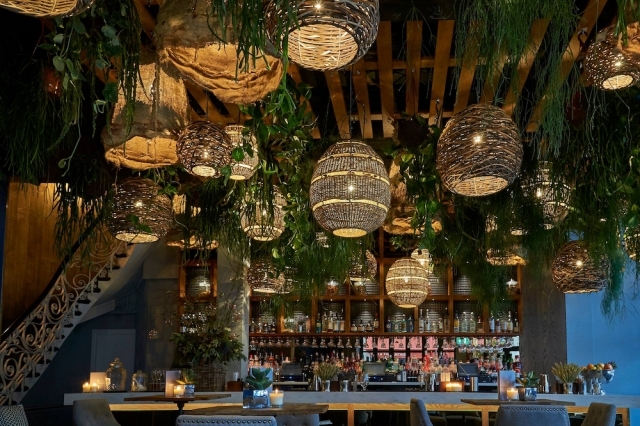 The venue has a total capacity for 350, spread across three floors: the ground floor – known as the Botanical Bar, the basement Festival Club and the Gin Parlour upstairs. Entering the ground floor Botanical Bar of Soho Residence, the wooden ceiling and hanging plants give a botanical feel, as though Bourne & Hollingsworth Buildings has inspired a refined venue for a Soho night out. 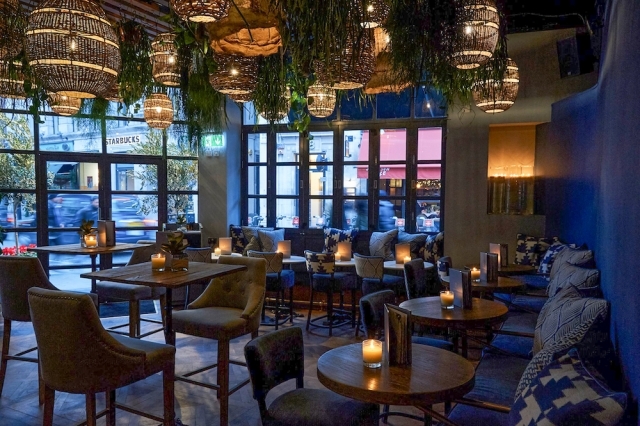 The plush upholstery and deep blues imbue a calm from the bustle of Wardour Street outside. 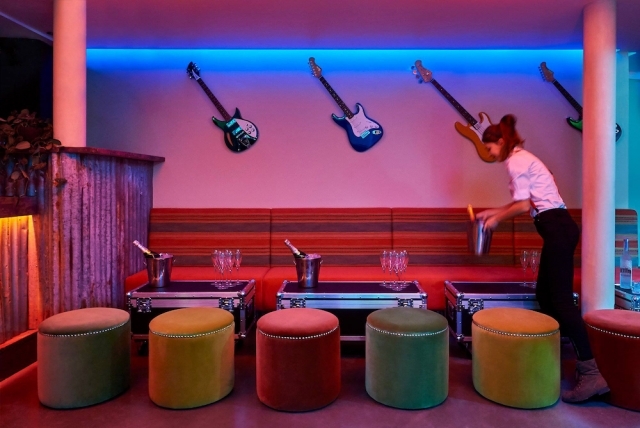 The basement Festival Club offers a completely different vibe, with coloured lighting, guitars on the wall, this feels more like hanging out in a recording studio. There are a couple of cubby holes with tables, a slight suggestion that there could be something mischievous going on – time will inevitable tell. A selection of craft beers and cocktails are available from the downstairs bar. Upstairs, the Gin Parlour has high ceilings and tall windows, giving plenty of opportunity to gaze down to the bustling streets of Soho below. With snug sofas and chairs, the window tables would make an ideal spot for a (first) date. We’re not suggesting that if you spot your date coming through the window and change your mind you should run and hide. Rather, the upstairs gin parlour is snug and sumptuous setting with a great selection of gins. Soho Residence, open until 3am Monday to Saturday, and 12:30am on Sundays, boasts a world class service; however only having been for the launch party ours was a somewhat different experience (including one of those bouncers whose power had gone to his head). We therefore can’t comment on any table service, but hope that it lives up to expectations. 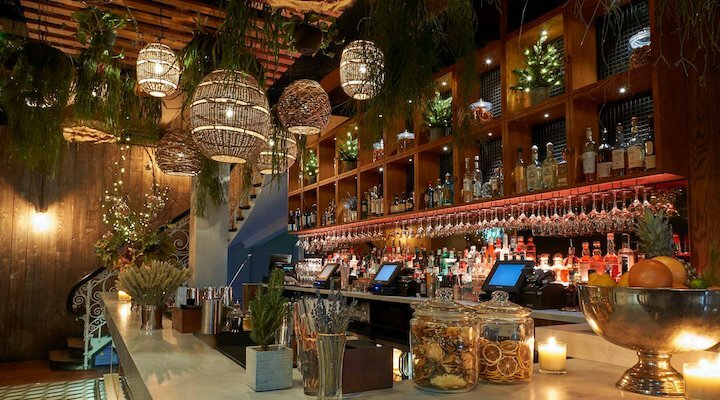 There is a delicious range of cocktails with prices starting from £10, and bottles of wine from £22. 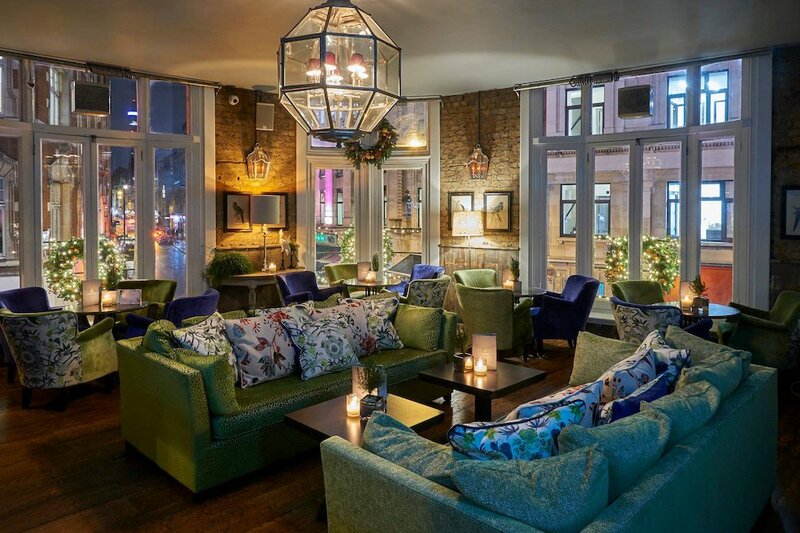 Soho Residence is definitely one of the more upmarket bars in Soho, offering a more refined, grown-up fun vibe. We’re not sure how the venue will cope in terms of speed of service, when at capacity, particularly in the upstairs Gin Parlour, which only has room for one barman. However as a good option for a (first) date, and a range of prices (from entry-level upwards), Soho Residence should appeal to the majority of Soho-goers. For more information visit sohoresidence.co.uk, or email info@sohoresidence.co.uk or call 0207 434 9413 for bookings.